The newest attraction in the High Country is here! 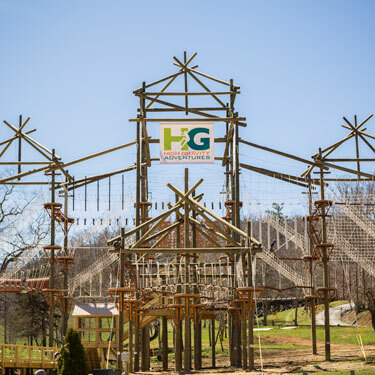 High Gravity Adventures introduces you to the vertical world with an aerial adventure park featuring 75 different aerial elements. This is unique and active outdoor recreation tailored for everyone- ages 5 and up. 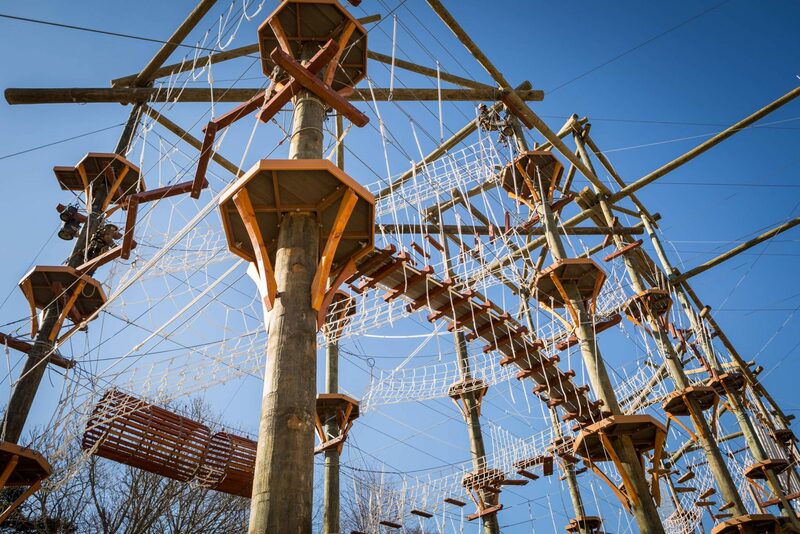 Each guest can explore and climb through the park, each element requiring various levels of physical and mental stamina at heights that range from 15 to 50 feet. Before guests enter the vertical world of sky bridges, cargo nets, and swinging loops, trained staff members give each guest a full-body harness, helmet, and safety tethers, as well as an orientation on the ground, called Ground School. This introduction gives guests the information needed to move around the aerial park. Once permitted to enter the park, guests choose which elements they want to pursue and how high in the air they want to explore. High Gravity Adventures staff are always moving around the course monitoring guests as they explore the challenges before them. For those waiting to ascend or folks that opt to stay on the ground, a huge observation deck is available at the yurt basecamp. There, friends and family can watch others find their way through the aerial park. This observation deck is free for on-lookers. This way, everyone can see the fun and challenges that await those who enter the aerial park! Hours, rates, and lots of details are available at www.HighGravityAdventures.com. At High Gravity Adventures, young children and those who prefer staying closer to the ground won’t have to stay at home, as a specially designed kids’ course keeps the experience low to the ground with easier to navigate challenges. Planned future phases include a sixty-five foot “freefall” jump through the center of the course and several interconnecting zip lines in the trees and meadows surrounding Tweetsie Railroad. “While not formally a part of Tweetsie Railroad, we couldn’t be more excited about the opportunity to work closely with the High Country’s premier attraction” said Rivers. 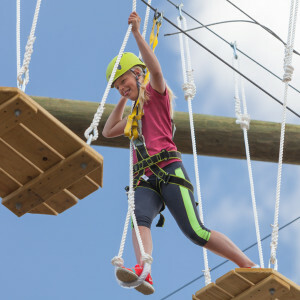 “High Gravity Adventures has its own base of operations right next to the Tweetsie Railroad park entrance, and it will be another great reason for families to visit this unique destination” he added. 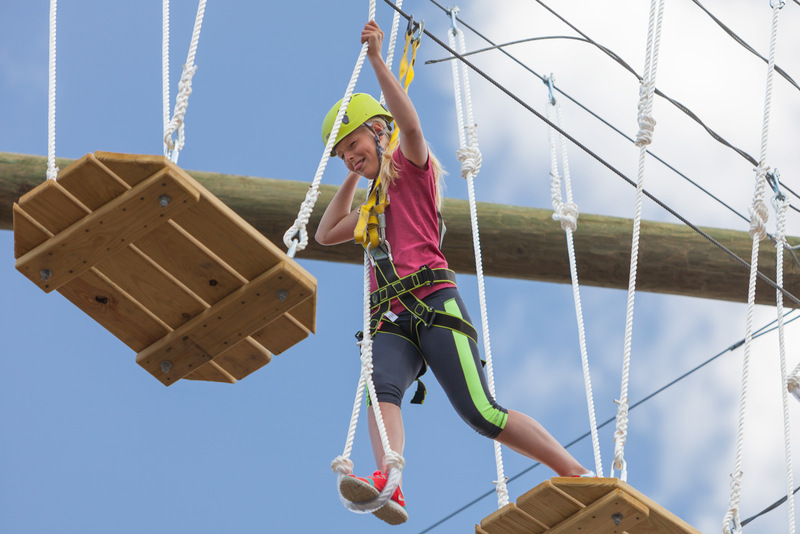 of accomplishments, Challenge Towers won the award for Outstanding Structure Design in 2014 at the annual international meeting of the Association for Challenge Course Technology for an aerial adventure park installed in West Yellowstone, Montana. “We have been designing and building ropes courses and adventure parks for a number of years, and I felt it was time to bring this type of active recreation experience to our hometown,” said Ken Jacquot, Owner and President of Challenge Towers and High Gravity Adventures. For more information about High Gravity Adventures, visit their website, www.highgravityadventures.com, “like” them on Facebook, and follow them on Instagram and Twitter to learn more about the aerial adventures waiting for you!